Spend 2-nights in a first class hotel in Rome to explore this great city. 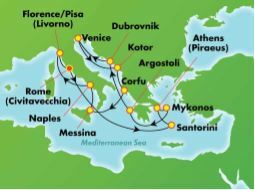 Followed by a 15-day voyage to the breathtaking wonders of ancient Greece, medieval Italy and the Adriatic coast. Climb up the magnificent Acropolis in Athens and admire the Parthenon, the beautiful temples and the view over the ancient city stretched out before you. While in Venice, savour the majestic beauty of this amazing city as you glide along its canals and under its bridges, opulent palazzi and elegant churches lining the route. And spend a glorious day in Florence taking in the historic Duomo, or “prop up” the leaning tower in nearby Pisa. Book NOW and save $200 per person! Includes FREE Unlimited Beverage Package & Service Charges! Meet your fellow travelers at the departure gate in Toronto airport for our flight to Rome, Italy. Airfare from TORONTO, for departures from OTTAWA please add $200 per person, other gateways on request. 15-Day cruise aboard Norwegian JADE. Unlimited Beverage Package on your cruise. 1 Lunch and 1 Dinner while in Rome. 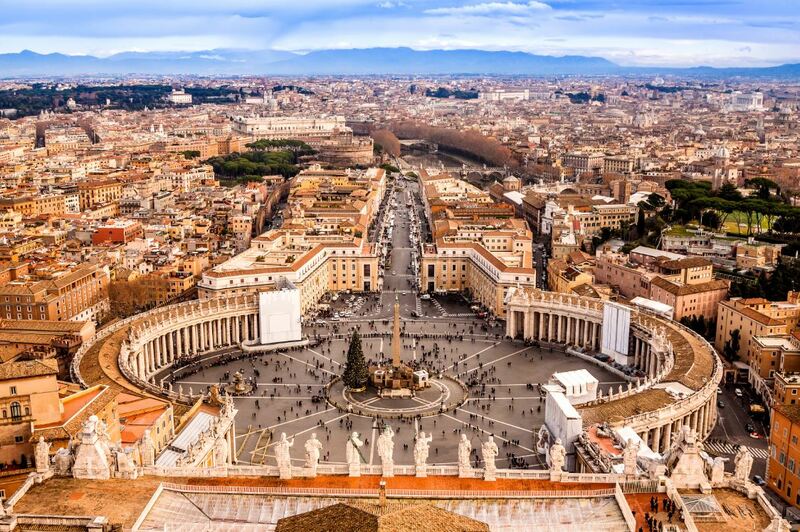 Guided panoramic city tour of Rome. Fully Hosted by Expo Cruises & Tours*. Please Note: Shore excursions are not included. Initial deposit of $1,000 per person is required. Final payment is due by: JUNE 12, 2019.